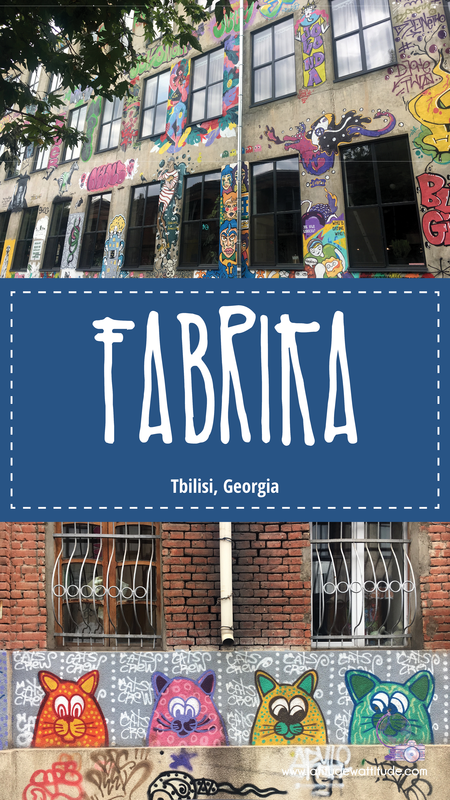 One of our favorite places in Tbilisi is Fabrika. We first visited this hipster paradise in July shortly after arriving, and have been back several times since. On the day of that first visit, it was very hot and I was going through my “we just moved to a foreign country and I hate everything and where’s my dog and I’m jetlagged and HATE EVERYTHING” phase. We’ve been together long enough that Sean knows the best medicine for me when I get like that is either food or getting out of the house. This particular afternoon, we taxied across the river to a seemingly unassuming part of town. Sean had been mentioning something called Fabrika for a few days now, but I was still in such a fog that I really didn’t know where he was taking me. Is it a fabric shop? That’s weird. Why would he be so excited about a fabric shop? Then we stumbled upon this graffiti, and I realized how wrong I was. Wednesday Addams and cats. I can work with this. In a previous life, Fabrika was a Soviet sewing factory. 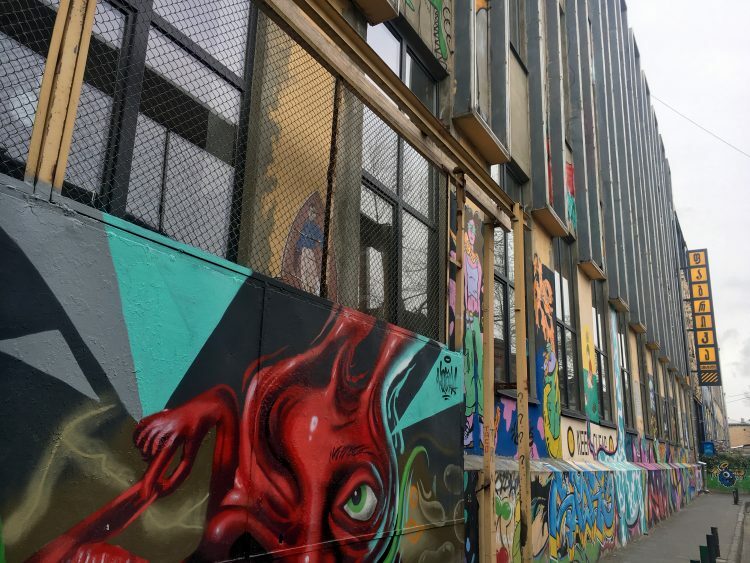 It has since transformed into a multi-functional urban space bringing together unique cafes, bars, art studios, and shops. Fabrika’s “new-meets-old” vibe can be felt at every turn. Colorful graffiti covering old Soviet buildings. Flower gardens planted in the center of the cement courtyard. It has become a symbol of rejuvenation for the city of Tbilisi. 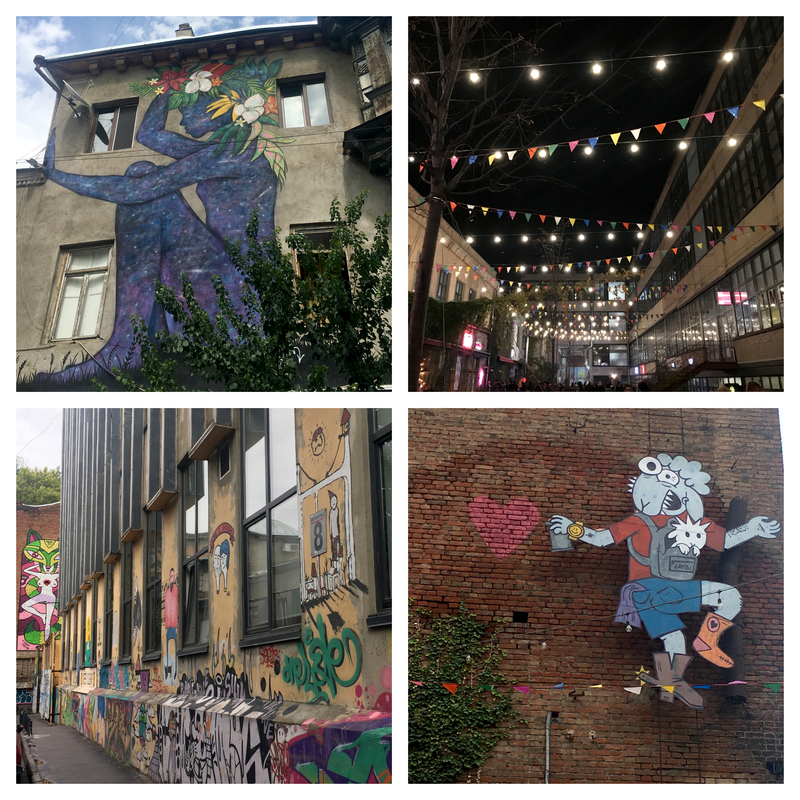 It is also home to the largest hostel in Tbilisi which is colorful and creatively decorated and serves as a mecca for tourists and locals alike. The best way I can describe the hostel is that it puts travelers in the off-beat center of the city. Behind the hostel, there is a large courtyard perfect for enjoying a lazy afternoon hopping from one cafe or shop to the next. Fabrika and a bit of the surrounding buildings are home to countless graffiti installations which appear, at least to me, to subtly shift and change every time we visit. There is a large permanent LAMB perched high on the wall near the entrance – a sometimes hilarious, sometimes sarcastic character that can be found all over Georgia. There are political pieces, whimsical pieces, and even a few that look truly ethereal. As far as shopping goes, Fabrika has a few very interesting stops. During our last trip, we visited The Plant Shop, one of the only specialty greenery shops in the city. We’ve been in poking around several times (and I’m sure they are annoyed with our constant browsing), but this time we finally purchased a few new leafy friends to fill our home. We’ve also been to the pottery store (which is home to a friendly cat), and the funky souvenir shop selling small prints of LAMB’s paintings. Fabrika also frequently hosts events. We visited the Christmas market in December, and I know they have concerts and parties in the courtyard once the weather warms up. I can only imagine how interesting and off-the-wall those parties would be. 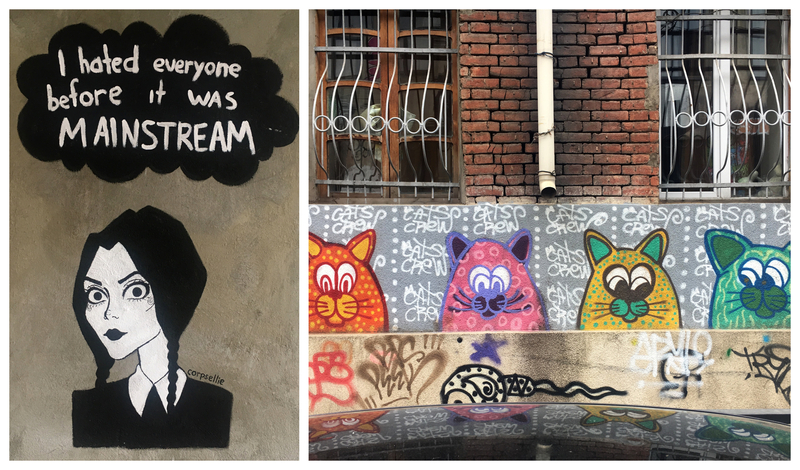 As the self-proclaimed “creative center of Tbilisi,” I can’t wait to see what they dream up next.